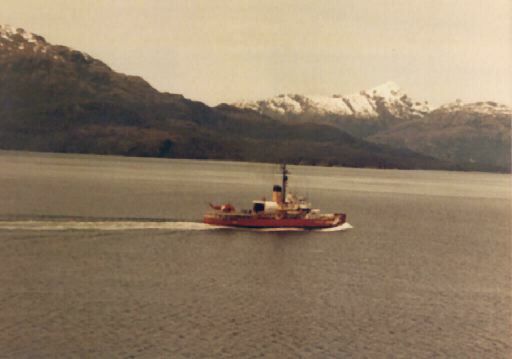 This is the BURTON ISLAND during her COAST GUARD service. 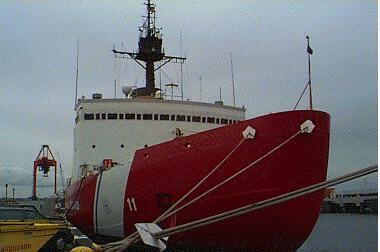 This page is dedicated to all USCG ICEBREAKERS, and those who served aboard as either US NAVY, or USCG. Here we have another COAST GUARD ICEBREAKER waiting to do what it does best, break ice. 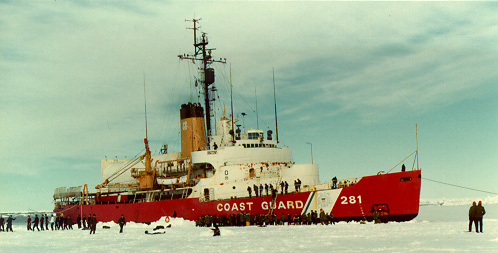 This a picture of the USCG WESTWIND, and is again in the ice. It would be "funny" if it was at the "beach". 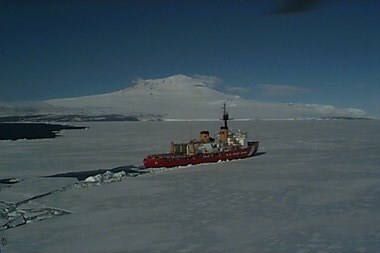 This is a beautiful shot of an icebreaker with out the usual "ice" around her. This an actual COAST GUARD ICEBREAKER, not one turned over from the US NAVY. 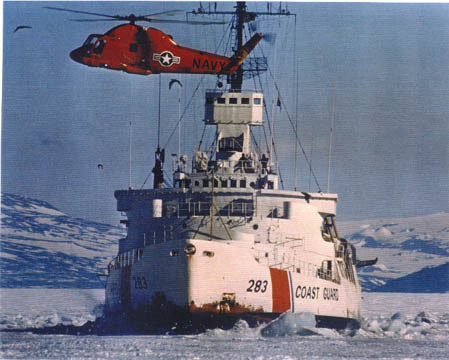 This is the USCG POLAR SEA. It's unfortunate but I don't have the name of this beauty. Maybe, one of you might know, and if so e-mail me so this lovely "lady" has a name. Another picture of one of our "ladies" working her regular back breaking work. Or should I say "hull" breaking work. Tired of hearing another ice breaker? Well I suppose unless you are on one, just looking at a picture can't tell you what an exciting life it can really be. So if you are thinking about the service, think about ICE BREAKERS.